By the end of my two weeks at UW I was sure I wanted to quit and go back home. Even though this school had my intended major, social welfare, and one of the best programs in the nation for it I didn’t feel like I fit in on this campus. I was 18 years old and the idea of moving to a different state on my own sounded exciting at first but when I got there I realized it was a lot more terrifying than I had anticipated. When I looked around the UW campus it was very clear to me that I, a brown Mexican girl from LA, just didn’t look like most of the other students there. It was hard enough for me to get into college as a first generation college student and to realize that I also didn’t have a place on my campus that I worked so hard to get into contributed largely to my desire to stay in my dorm during any free time I had. Fortunately, in my SOCWF 200 class we had an assignment that’s main focus was to push us to get involved in the community. 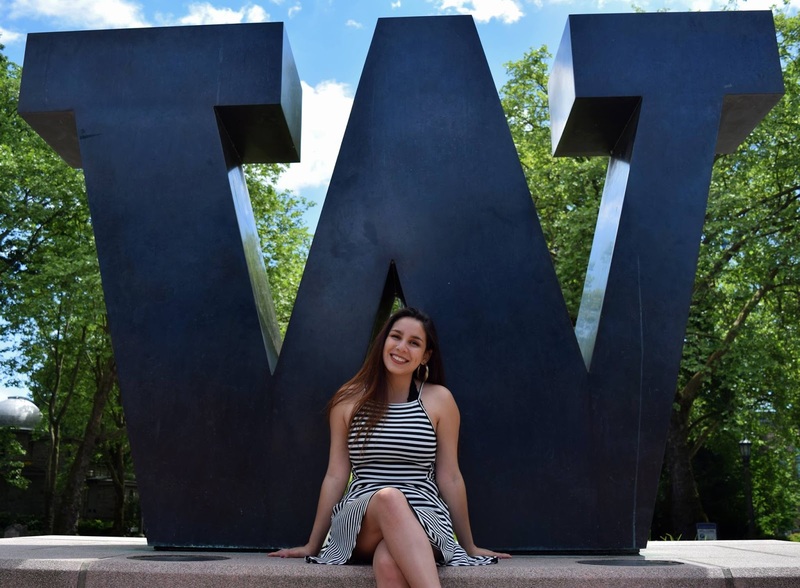 We had to choose an organization on campus or around campus that we thought aligned with our future career as social workers and I chose The University of Washington Dream Project. I knew what it was like to struggle to find the resources and support to apply and then eventually go to college and the mission of the program spoke to me. I joined winter quarter of my freshman year as a mentor and through the next 4 years of my college experience The Dream Project became the entirety of my life. I took on a variety of roles in the program, that if I chose to list would just be embarrassingly long, but the most impactful was my time spent as a high school lead and college and career counselor at Foster High School. Both roles pushed me to develop myself professionally and both gave me the opportunity to meet amazing people that I am so grateful to have in my life and will forever love and care for. As an intended school social worker, I was amazed that I had the opportunity as an undergrad to be able to work and volunteer not only in high school settings but also within the higher education setting by leading classes and meetings of my peers. 4 years ago I was a scared little Mexican girl unsure if I fit in a college sitting and doubting that I had what it takes to make it at UW. Now I am an alumni of UW with my BA in social welfare and a current graduate student at UCLA and will graduate with my Masters in Social Welfare in 2020. I currently am placed at Harbor UCLA Medical Center as a Social Work Intern providing psychotherapy in their Behavioral Medicine department per my 1st year field placement and also work as a child care worker at an all-girls group home within the Department of Child Welfare. Looking back at my 4 years I know that I am the leader I am today and as dedicated to social work as I am due to the high school students, communities, faculty, and dream project leaders and mentors that I had the privilege to interact with. Foster high school welcomed me into their community at a time when I felt I had lost mine and the high school lead program gave me friends that became my family in a state where I had none. Dream Project was one of the hardest and most time consuming things I took on in college but it was also the thing that supported me in pushing myself to have a voice and create my own community inside and outside of UW. SHOUTOUT TO AMRITA, ARIEL, MORGAN, NICOLE, SHREE, GINA, MIRECOL, MADDIE, DAVIS, JONATHAN, ALL INGRAHAM MENTORS #GORAMS, AND EVERYONE EVER FROM FOSTER #GOBULLDOGS!